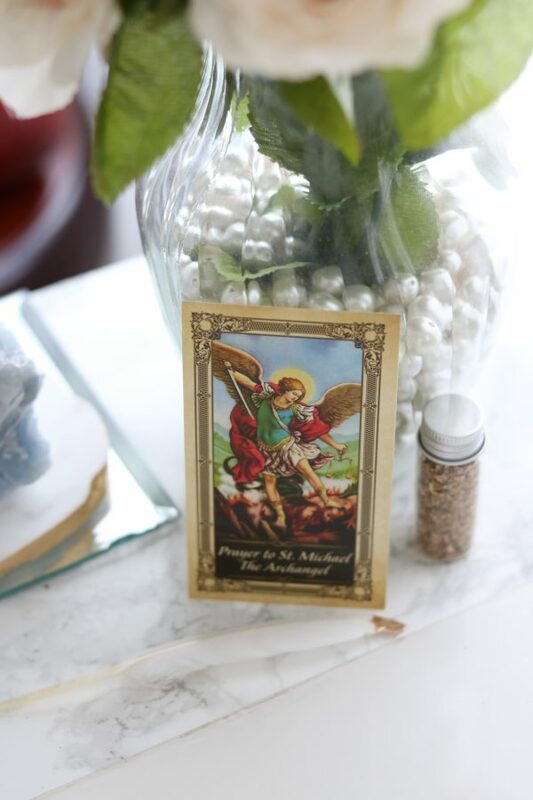 In a quiet space free of disturbances and distractions, set up a plate where you will place your herb as an offering. 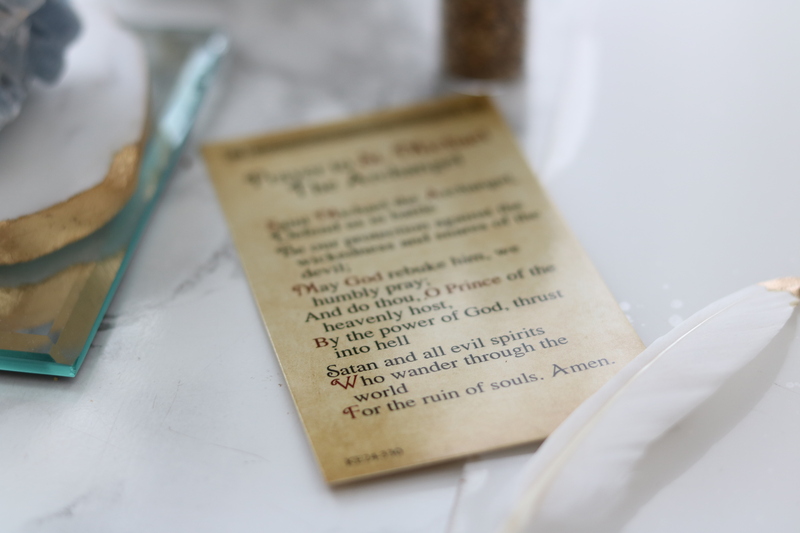 Light the candle with the prayer card in hand and activate your prayer card by stating the purpose for the card and recite the prayer on the card. You can use the herb as an herbal bath. Soak or boil the herb and water and pour over you after a shower as n aura cleansing ritual bath. Herbs can also be used to “dress” your candle. Simply ad olive oil to your candle and sprinkle the herb on the candle and light the candle when ready. 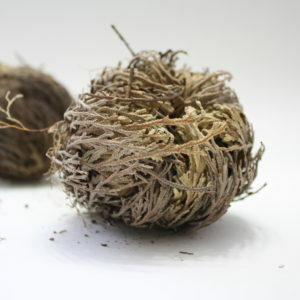 ∴ Angelica Root: As it’s name implies, this root is related to the angelic realm. It is offered to your archangel to attract clear energy where messages can be received and sent. 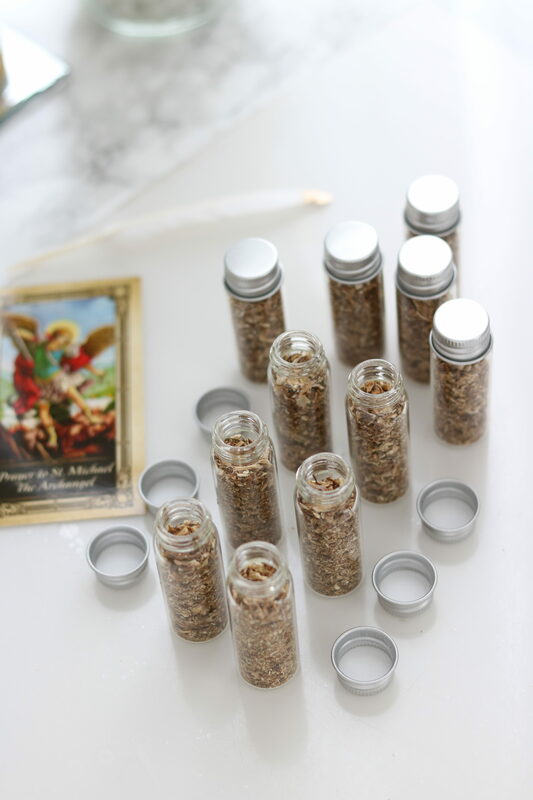 Banishes and removes evil and negative energy when sprinkled around the home or carried in a small pouch. Particularity useful to protect children and during childbirth. 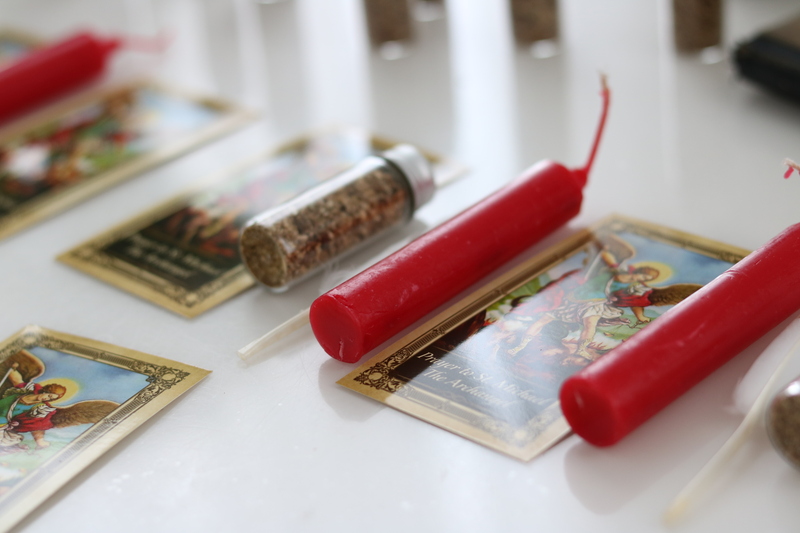 ∴Candles: Represent the 4 elements, the candle itself (earth), the flame (fire), which corresponds to St.Michael’s element. The liquefying wax (water), (Air) the ether in which it burns into transporting your thoughts and intent, such as your prayers and requests. ∴ Quartz Crystal (Optional): This crystal helps amplify and transform the energy and intent you’re working with. It helps ground, clarify and strengthen the mind and auric field. ∴ Feather: Symbols for messages and transportation, taking flight. Use to carry with you as a symbol of your intent. 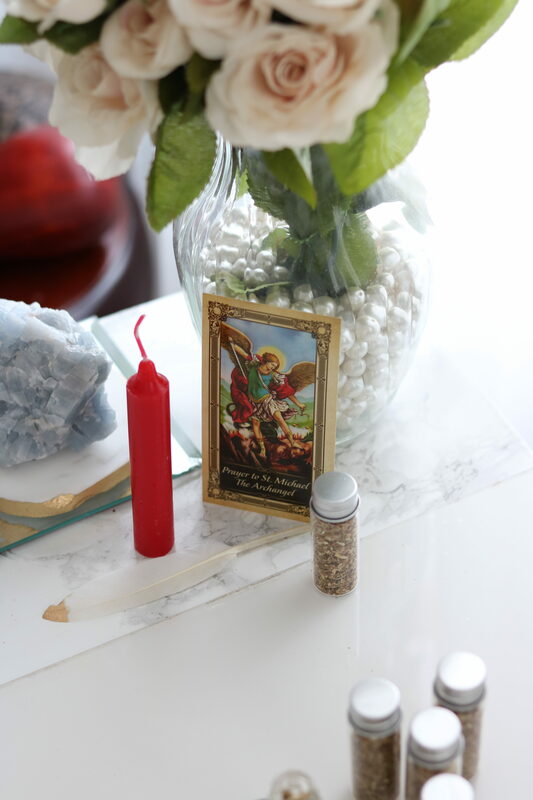 ∴ Prayer Card: Carry with you in purse or wallet or place near your bedside to prevent night mares and protection during astral travel.